Comments: Used books don't have access codes, ships from U.S.A. 4th Edition Paperback may have wear and/or considerable writing, ships fast!! !, choose expedited for quicker shipping. 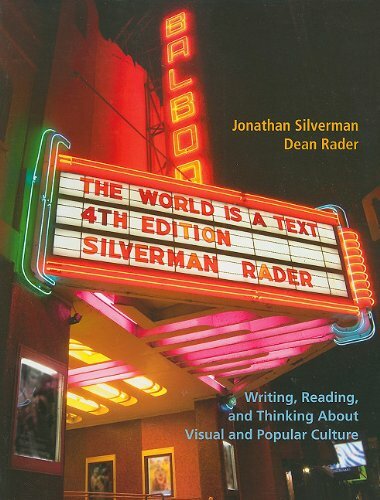 Jonathan Silverman is the author of 'The World is a Text (4th Edition)', published 2011 under ISBN 9780205834464 and ISBN 0205834469. Loading marketplace prices 20 copies from $1.79 How does the rental process work?